Nazdeek, PAJHRA and ICAAD announced the release of the report, No Time to Lose: Fighting Maternal and Infant Mortality through Community Reporting. 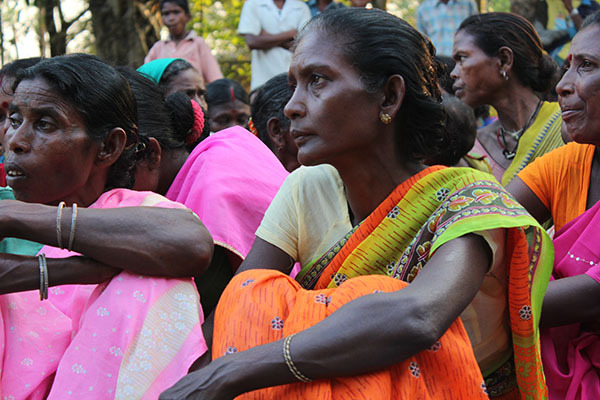 The report brings to light the obstacles that Adivasi women face in obtaining maternal health care in Assam – a state with the highest maternal mortality rate in India. No Time to Lose is the first attempt in India to collect and map cases of maternal and infant health violations reported by women living in tea gardens through SMS technology. The report is the culmination of the End MM Now Project, which fuses legal empowerment, community monitoring and technology. Based on nearly 70 cases reported by community members who participated in the Project, the report offers tangible recommendations for Block and District level health authorities and tea garden management to improve service delivery and save mothers’ and infants’ lives. “For the first time, civil society in Assam can rely on solid data on the lack of access to maternal health services. Thanks to this data, we have formulated key recommendations to curb the appalling number of maternal deaths among Adivasi women.” – says Barnabas Kindo, from Pajhra. Key recommendations include the immediate appointment of a hematologist for the Dhekiajuli Community Health Centre, and the establishment of a more efficient referral system. The report has been well received by District authorities in Sonitpur, including Deputy Commissioner, Sonitpur, Shri. Lalit Gogoi, District Joint Health Services Director, NHM Sonitpur, Dr. M. H. Saikia and Medical Inspector of Plantations, Dr. P.K. Lahkar. In a meeting with Project participants on Tuesday February 17th, Shri. Gogoi praised the initiative and promised to submit the findings and recommendations of the Report to higher-level authorities. Dr. Lakhar further stressed that lack of adequate infrastructure in the tea gardens was a major barrier in accessing health services. No Time to Lose identified a significant gap between patients and healthcare providers. In this regard, Dr. Saikia committed to establishing a Citizens Grievance Forum at the Block level to address maternal health violations reported through the End MM Now system, with time-bound action from the state. “End MM Now has proven to be an invaluable platform for women to monitor and claim access to basic rights and entitlements. Community members have already noted initial positive changes in the delivery of health services”, says Francesca Feruglio, from Nazdeek. For this reason, Nazdeek, PAJHRA and ICAAD have developed the Project “End Maternal Mortality Now” (End MM Now). Launched in April 2014, the Project trained a group of 40 women volunteers living in Balipara and Dhekiajuli Blocks in the Sonitpur District of Assam to identify and report cases of health violations in their communities through SMS. The project has been implemented with the generous support of ISIF Asia.